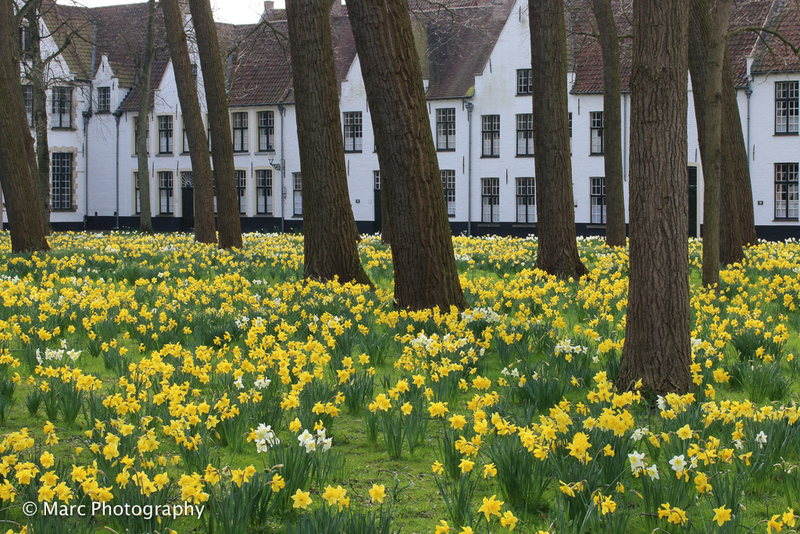 The Bruges Beguinage (Ten Wijngaarde) is one of Bruges’ most visited attractions. 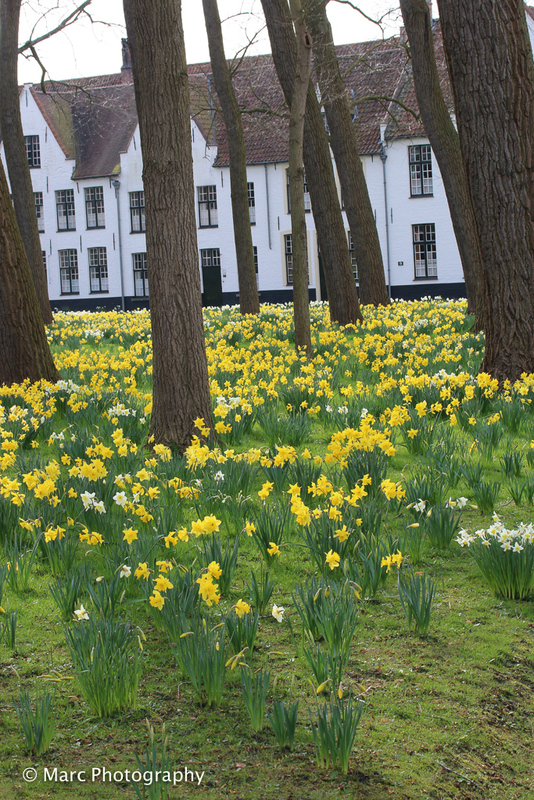 The best time to visit the Beguinage is during March and April. 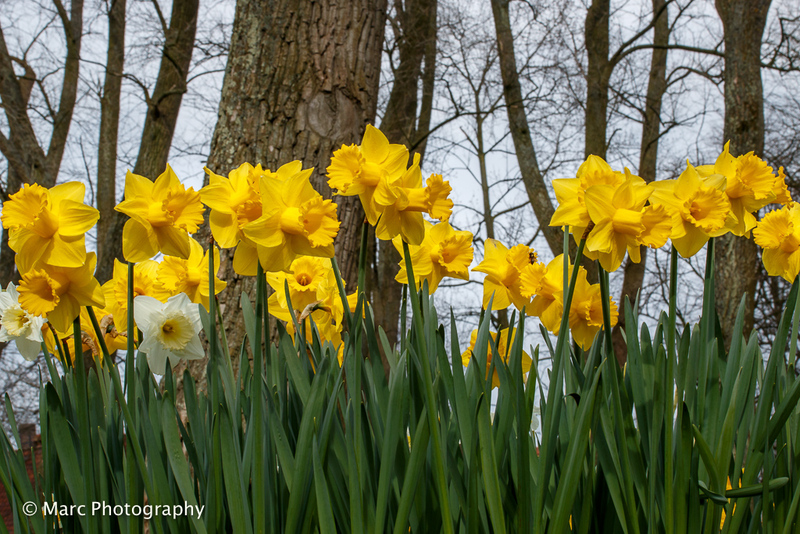 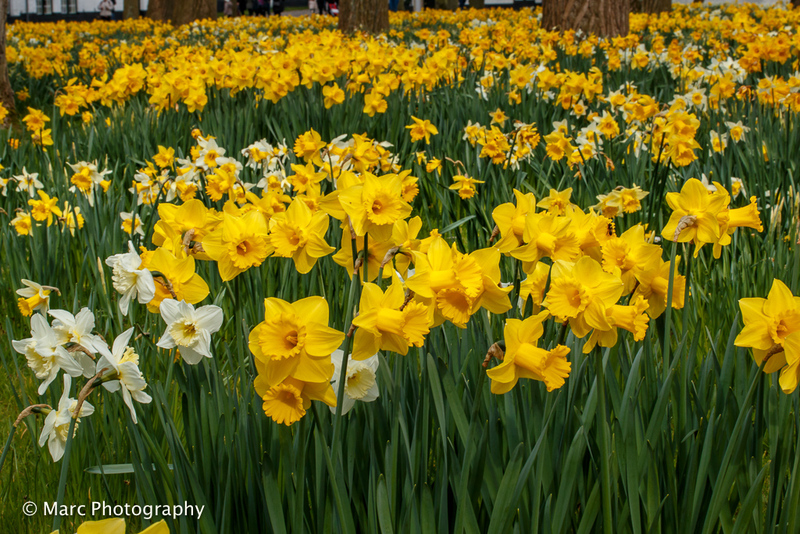 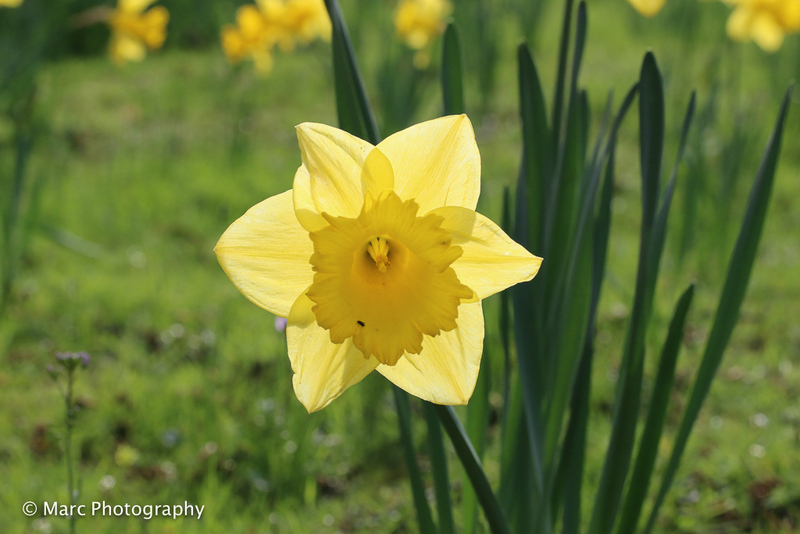 Every year, the flowers announce the start of spring, and thousands of visitors come to admire the vast expanse of flowers. 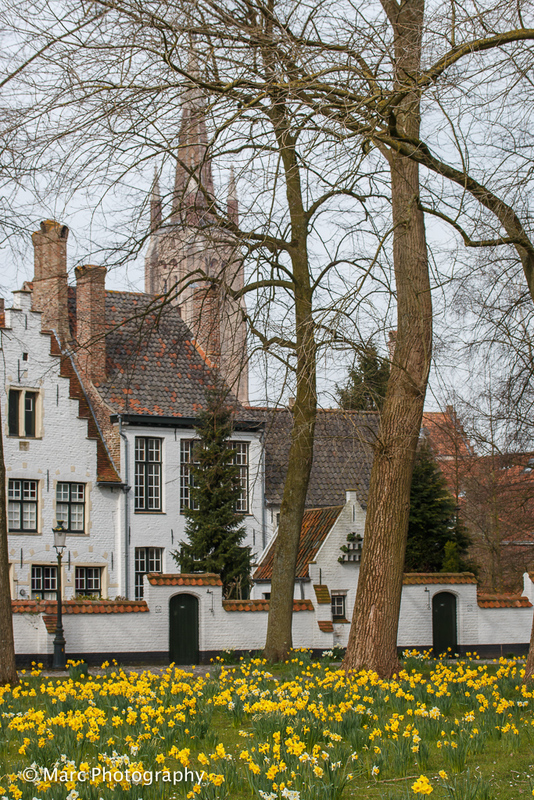 Of course, you must take a selfie, but do not forget to pay a visit to the nearby brewery “De Halve Maan” [The Half Moon] (in the Walplein square). 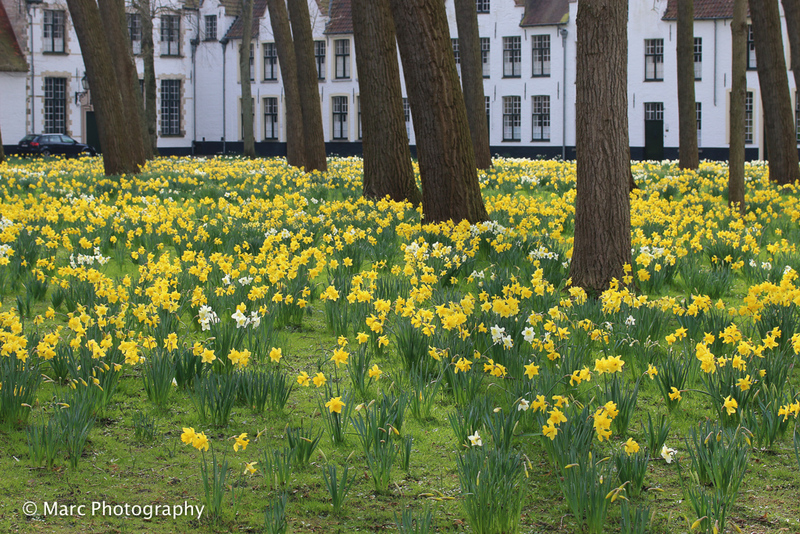 During the brewery’s guided tour, you will have a unique view of the Beguinage and the thousands of daffodils from the tower of the brewery. 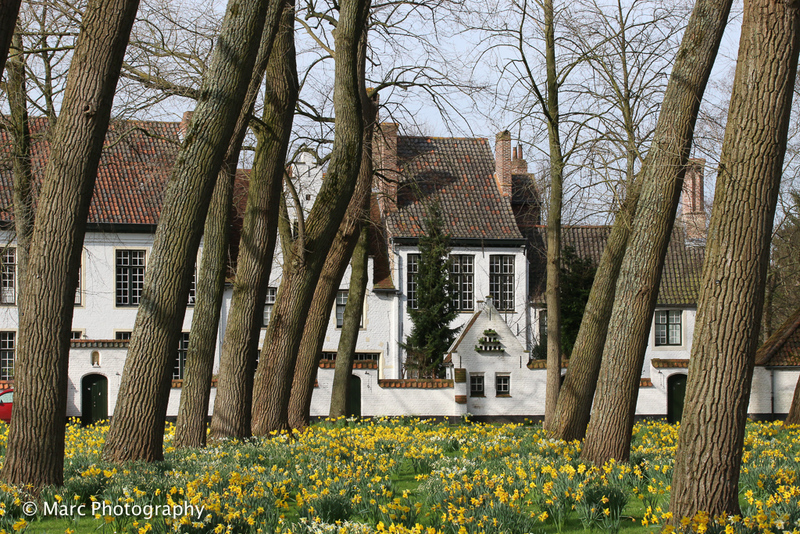 It also definitely is worth visiting the beguines’ house, which now serves as a museum. 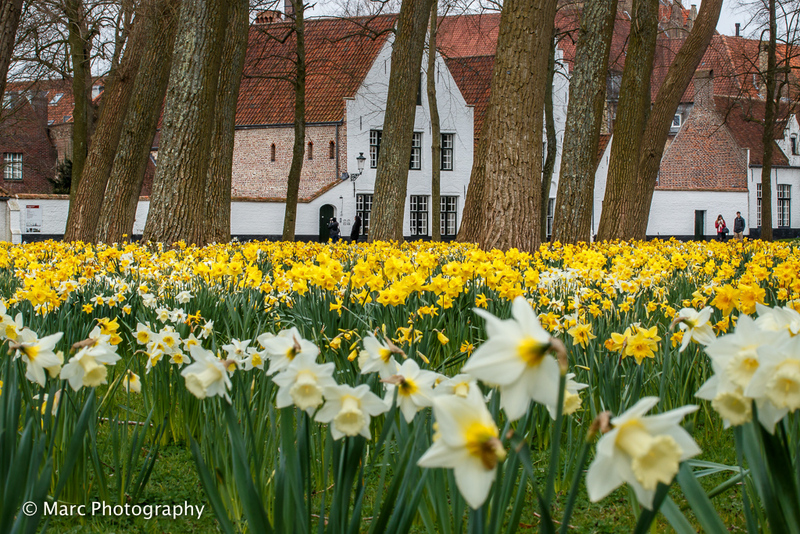 The oldest houses date from the 16th century. 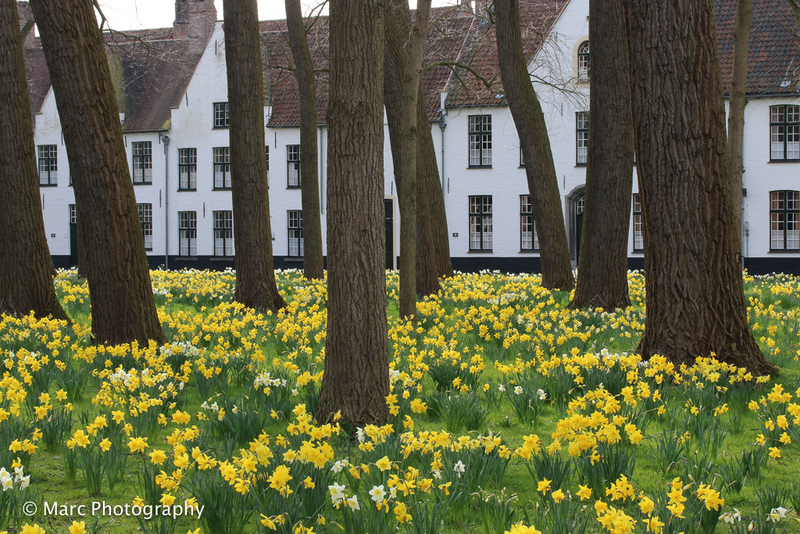 Beguines no longer live there, but a cloistered life has been maintained by Benedictine nuns, who in 1927 established a convent in the Beguinage. 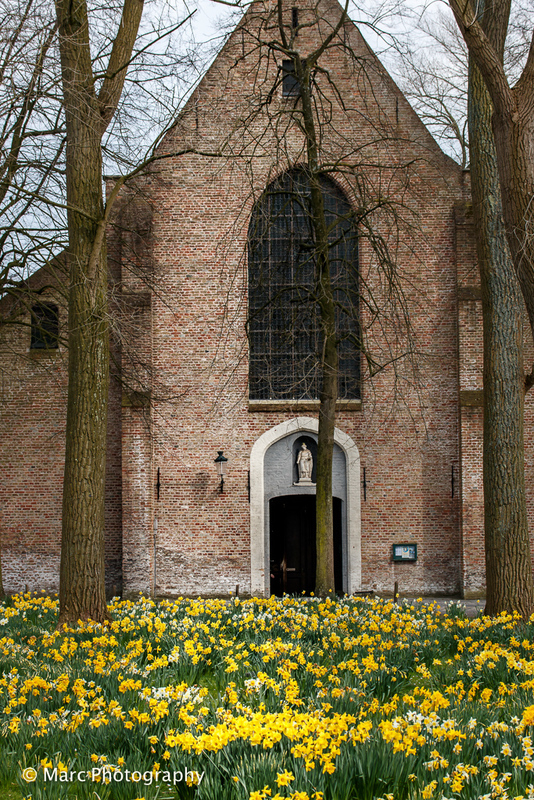 In the Beguinage church you can also admire a 13th century polychromed statue of the Virgin Mary.